So I've been thinking about this topic for some time now but never got the chance to jot down my thoughts. Part of the reason is that we're still trying to figure out this art! I do believe much of child rearing is an art and not an exact science. Again, this is a common topic that gets brought up in pediatric well visits and I'm sure if you googled, there would be an abundance of articles/blogs about this. 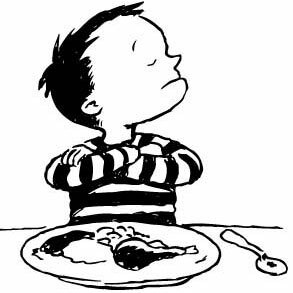 So somewhere between the ages of 1 and 3, toddlers hit a stage where they are especially picky with eating. This usually causes much frustration with parents and unfortunately can turn meal times into an unpleasant dread. Even though as a physician, I may know in my head the "proper response and attitude"... I can honestly say it has been a struggle to "believe it with my heart" and to live it! Why are you so stubborn? Just eat it!! Whoever finishes can have something sweet and cold! My kid is stick and bones... gotta feed more! At the end of the day, it does boil down to how the child is growing on the curve. If healthy food options are being offered and the child is on his or her growth curve then medically, there is no need to worry about malnutrition. I've recognized that a lot of my own frustration comes from not being in "control". Up until this point, I can nurse or bottle-feed or spoon feed baby food and for the most part, I am in control. Now this little person wants control and unfortunately will often use meal times as a way to exert it. Establishing a routine during mealtimes is helpful. Plus, there are many sites out there that offer great tips on being creative and making food more attractive to toddlers so they are more appealing to eat. Just have to be careful not to fall into the "too many choices" trap, which can also backfire. Dip it, spread it, top it... Dr Sears actually has a great article on this offering 17 tips to feed the picky eater (http://www.askdrsears.com/topics/feeding-infants-toddlers/feeding-picky-eater-17-tips). Nuts. 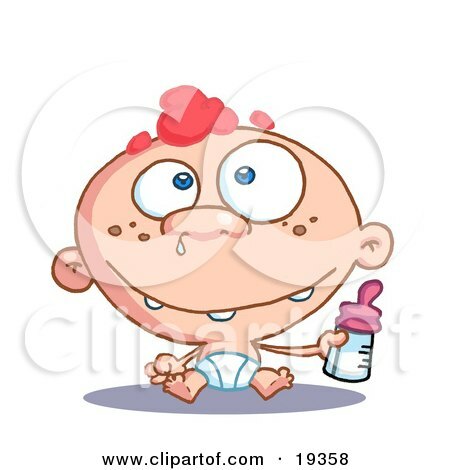 I just read this article about how they found traces of arsenic in baby formula. Apparently, rice takes up arsenic from the soil and traces of arsenic was found in baby formula containing organic brown rice syrup. The article also goes on to say there is no current US regulations that apply to arsenic in foods. Bottom line, avoid foods sweetened with rice syrup! I was just reading my entry 2 years ago when I was "sleep training" our second child. She used to wake up so often and I was so tired. That entry was written in August, when she was 9 months old, and by November she was sleeping through the night from 7p to 7a. If you just google "sleep training" you will see sooo much on this topic. No time to review it all. I've read quite a few books on this topic and I've gleaned some underlying similar principles despite varying methods or techniques. Our youngest is now 7 months old and we started training him a few weeks ago. Until then, he had been waking up every 1-2 hours and would be so hard to put back to sleep. Even naps required patting him until my arm turned numb. Well, I started plotting his sleep the same way I did for his sisters and tried to be consistent with nap times and feeds. We allowed him to cry a little.. never more than 10-15 min before checking on him. We'd go in sooner if his cries sounded different then the "I'm cranky and just want to sleep" kind of cry. With experience now, I can tell if the crying will stop or just escalate. The process is hard because who likes to listen to crying? It is more an art than science because there really is no formula. What worked for my oldest child had to be tweaked for #2 and changed up again with #3. It requires a lot of patience and perseverance and wisdom and judgement. I'm not at all advocating to just let a baby cry it out... but the whole idea is training him or her to soothe himself and to fall into a routine and habit that is healthy. Once there is consistency in schedule and location of naps/bedtimes, the child learns to associate his crib with sleep. His body adjusts to the routine and he will naturally want to sleep during those "nap times". As a result, naps last longer and night time sleep also improves. Then everyone is happier! So how are we doing? Well, I thought we were done two nights ago because for two to three nights in a row he almost did sleep through the entire night! However, last night we went backwards a bit and i was up almost every hour again between 2am and 6am. Throw teething and colds into this mix and that is why training takes a while. However, I am convinced that this child will be sleeping through by the time he is 9 months. I just read an interesting study that showed putting pictures of vegetables on cafeteria trays in schools caused more kids to put those vegetables on their trays. They had pictures of carrots and green beans on the trays and kids would then pick carrots or green beans and put them in those corresponding spots. Though overall the amount of vegetable consumption is still low compared to what the government is recommending, there is an improvement and it is a low cost intervention. You can read the full article below. Maybe buying bowls and dishes with vegetable pictures on it will help vegetable consumption at home, too. Goodbye Cinderella plate and hello Spinach plate? Pasting photos of vegetables onto school lunch trays induced children to eat more of the real thing in a small controlled trial, researchers said. The proportion of elementary-school children taking green beans doubled and the number who took carrots tripled when their trays featured pictures of these vegetables, reported Marla Reicks, PhD, and colleagues at the University of Minnesota in Minneapolis. "We expected these photographs to indicate to the children that others typically select and place vegetables in those compartments and that they should do so too," the researchers explained in a research letter published online in the Journal of the American Medical Association. Some 37% of kids in a Richfield, Minn., elementary school helped themselves to carrots and 15% took green beans when photos of these vegetables were placed in the appropriate tray compartments on one day last May. That compared with 12% who took carrots and 6% who took green beans on an earlier day when regular trays were used (both comparisons P<0.001). Students in the school had the option of taking apple sauce or orange slices instead of the vegetables. Reicks and colleagues noted that these choices remained the most popular even with the visual cue to take carrots or green beans. Otherwise the meal was the same on both days of the study. Cafeteria staff doled out the main course and all portions -- including those of the vegetables and fruits -- were standardized. Even though vegetable consumption remained low with the intervention, falling short of government recommendations, Reicks and colleagues suggested the picture cues had value. "Placing photographs in cafeteria lunch trays requires no special training and incurs minimal costs and labor (in this study, about $3 and 20 minutes per 100 trays)," they argued. The increase in vegetable consumption was also "within range ... found in more expensive interventions," the researchers added. Reicks and colleagues noted that the study involved a single school and two days. "Further research is needed to assess how well the effects generalize to other settings and persist over time," they wrote.